(WEBPUBLICA) NEW YORK – As Bosnia’s election campaign begins in earnest, Milorad Dodik’s own campaign to win the Serbian seat on the Bosnian presidency is receiving support from the government of nearby Serbia. “Through Dodik, Russia’s card in the Balkans remains in the game, or it has an illusion of its role and power in this area,” Bojan Klacar, from the Centre for Free Elections and Democracy, CeSid, told BIRN. 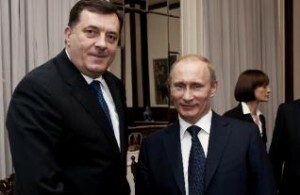 Dodik is well known for his passionately pro-Russian stance. Klacar also noted that, as the political scene in Serbia turns towards the nationalist right, the future of Bosnia’s mainly Serbian entity, Republika Srpska, has become a more important topic. Bosnia and Herzegovina is marking the final countdown for elections that take place in a few weeks’ time on October 7. Although the official campaign only started 30 days before polling day, all the parties have been out campaigning for months. Dodik, hitherto President of the Republika Srpska and head of the ruling party in the entity, the Alliance of Independent Social Democrats, SNSD, has his eye on the Serbian seat on Bosnia’s three-member state presidency. Voters on October 7 will cast ballots for the three seats on the state presidency, the state-level House of Representatives, for the National Assembly in Republika Srpska and the House of Representatives in the mainly Bosniak and Croat Federation entity. They will also elect the assemblies in the Federation’s ten cantons and in the District of Brcko. On September 5, Serbian Foreign Minister Ivica Dacic stated that Republika “Srpska has support from Serbia”, apparently referring mainly to Dodik. “Top Serbian officials will arrive in Banja Luka on September 17, when the Russian Foreign Minister, Sergey Lavrov, will visit Republika Srpska,” Dacic noted during a meeting with Dodik in Banja Luka. According to the Serbian government website, Dodik then expressed gratitude to Dacic for Serbia’s support, and underlined that “Serbs in Republika Srpska and Serbia are one nation”. “Dodik is an isolated politician who often pronounces strong national attitudes that most Serbian politicians do not want to say,” Klacar noted. A day before that meeting, Serbia’s Innovation Minister, Nenad Popovic, told a meeting in Belgrade with his counterpart from Republika Srpska, Alen Seranic, that Serbia would provide full support in forming a fund for innovation activity in Republika Srpska. Earlier, on August 29, Serbia’s Energy Minister, Aleksandar Antic, announced major investments in the RS – the construction of two hydroelectric power plants on the upper Drina River, an investment estimated at around 200 million euros – a joint project of Serbia and Republika Srpska. “Helping Dodik means that Dodik can then pay back [Serbian officials] with the same support, as he has often done in the past, which is a symbolically important message for the elections in Serbia,” Klacar explained. Dodik is often a guest at official events of Serbia’s ruling politicians, especially those hosted by Serbian President Aleksandar Vucic. 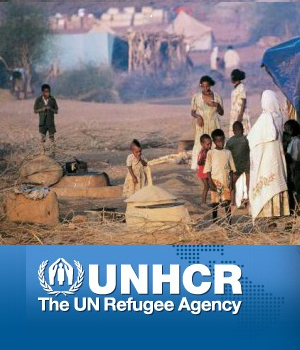 abandoning Serbia’s claim to all or most of Kosovo. Under pressure from the EU, Serbia and Kosovo are expected to reach a solution to their long-lasting dispute, which is likely to include Serbia recognising the 2008 independence of its former province. “Negotiations are in progress with Kosovo in which obviously a compromise is the goal,” Klacar said.